Korean students only scream and yell "Dokdo is our land," but cannot explain why. This Korean instructor is complaining that the Japanese are winning the international opinion war for their claim to "Dokdo" (Liancourt Rocks - Takeshima) because they can logically explain the reasons for their claim and are doing so in several different languages. He says that Korean students, on the other hand, only scream and yell "Dokdo is our land," but are unable to explain why. The instructor predicts the world will consider "Dokdo" to be Japanese territory within thirty years time. What happens in Korea if you disagree with its Dokdo claim? The Usando shown on an old document is Jukdo?? The Bulletin Board of this person's blog says that Dokdo is Japanese territory. 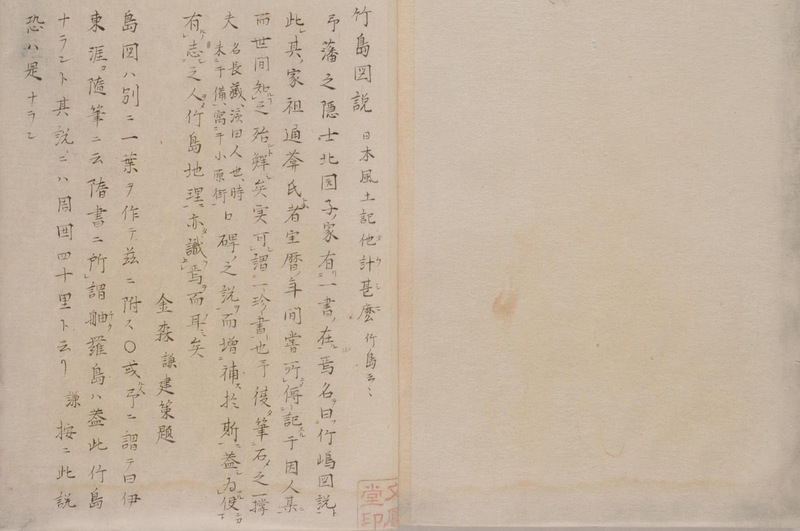 If you go in and look at it, he claims that the Usando shown on an old document is Jukdo. He shows various materials to support his claim. The material he uses is wrong, and his claim is wrong. I urge to you refute them. This is a Closed Blog. 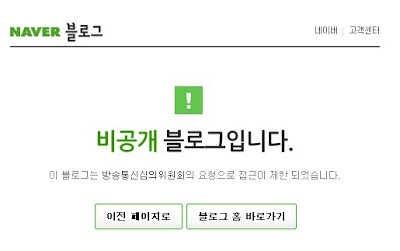 Access to this blog has been restricted by request of the Korea Communications Standards Commission. 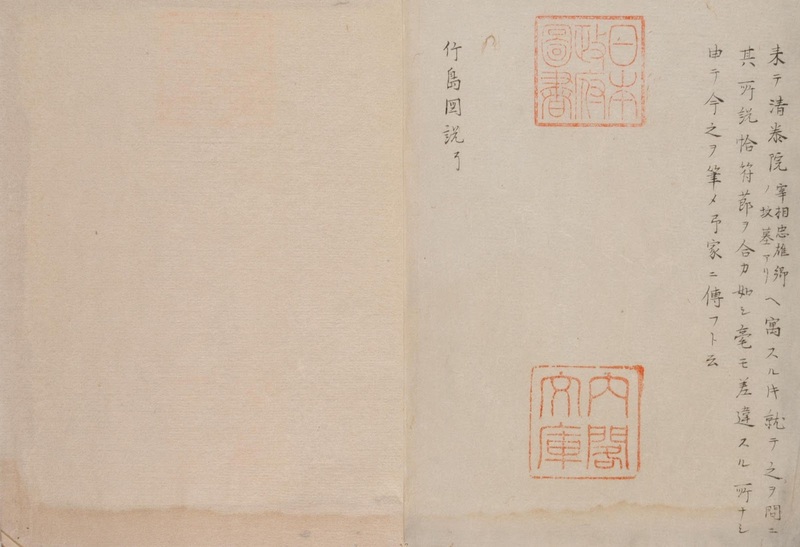 Old Korean documents show Usando (于山島 - 우산도) to be Ulleungdo's neighboring island of Jukdo (竹島 - 죽도), which is only about 2 kilometers off Ulleungdo's east shore. 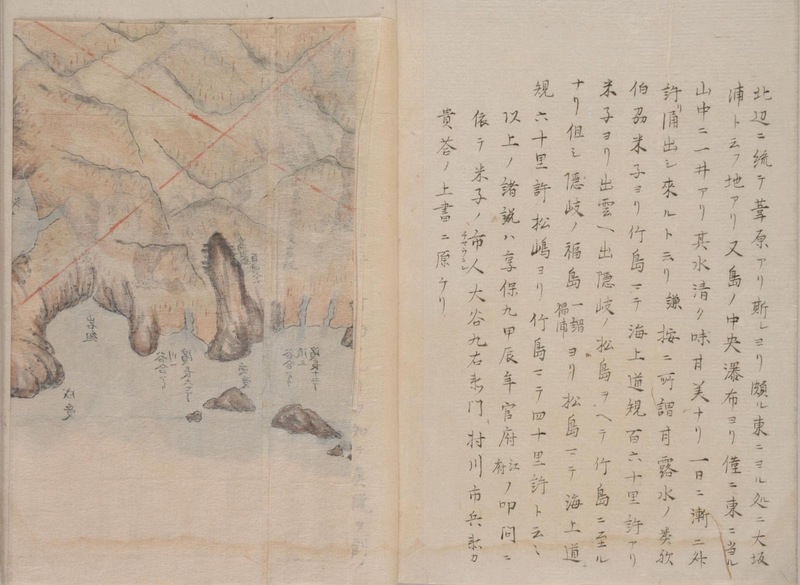 However, Koreans generally claim that "Usando" was the old name for "Dokdo" (Liancourt Rocks). Apparently, in Korea, one is not allowed to disagree with the general Korean claim. The Lesson: "Don't use a Korea-based internet service provider to create a blog refuting Korea's claim to 'Dokdo' because opposing opinions are apparently not allowed." The following are the screenshots of the bulletin board post on the Dokdo Research Institute Web site and of the message from Naver saying the blog is closed. Japan Probe: "New Jersey Japanese School Wins Takeshima Lawsuit"
A lawsuit brought against a Japanese School in New Jersey for teaching that Takeshima (Dokdo) is Japanese territory has been dismissed. 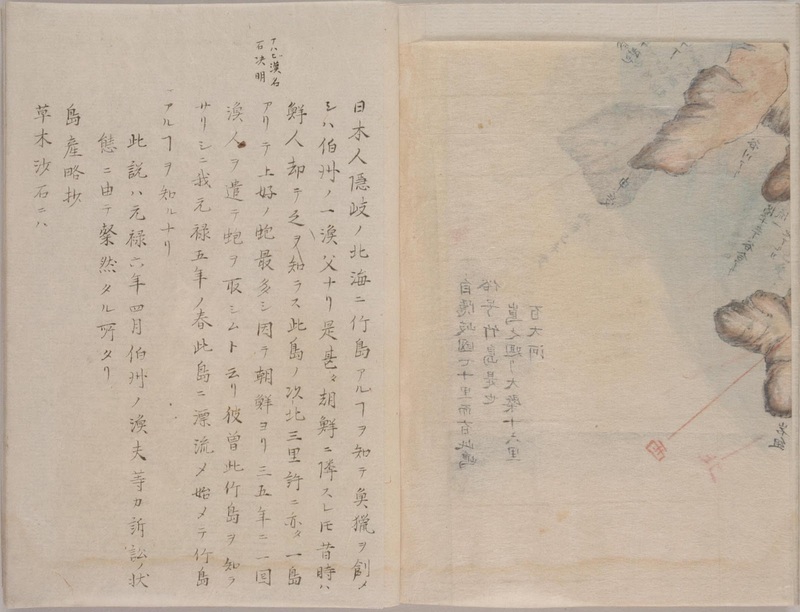 A Korean-American who did not like the school's using a Japanese Social Studies textbook that taught Takeshima (Dokdo) was Japanese territory filed a lawsuit against the school last year. You can read more about the lawsuit in English at "Japan Probe" HERE. You can read the legal decision HERE. 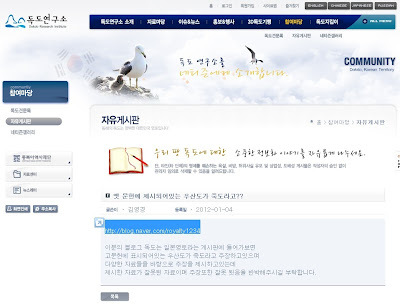 A Korean translation can be read at the KJClub HERE by clicking on 韓国語で表示. As a former civil mediator, it would certainly be tempting to suggest that this historic Asian-Pacific dispute, which apparently remains the cause of wide-ranging emotions and politics on both sides, be settled through a designation of one islet to each country. Clearly, if the solution were that simple, it would have occurred before today. 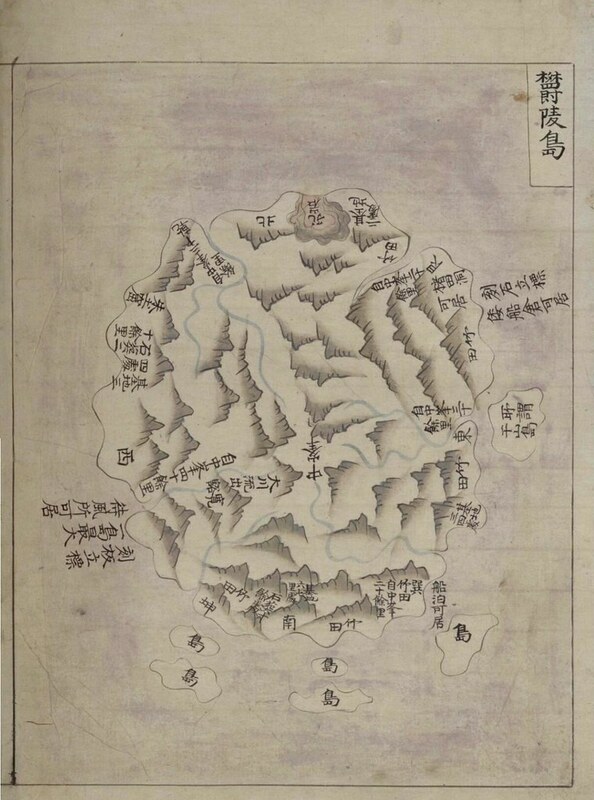 One of the interesting things about the map is that it shows the island of Ulleungdo (鬱陵島 - 울릉도) with a neighboring island labeled "Udo" (于島 - 우도), which was one of the old names for Ulleungdo's neighboring island of Jukdo (竹島 - 죽도), a small island just two kilometers off Ulleungdo's east shore. 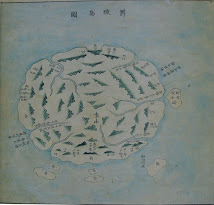 Later 1800s - "Takeshima Map Explanation" (竹島圖說) Kensaku Kanamori - "文鳳堂雑纂"
The following comes from a Japanese text entitled "A Compilation of Topics by Bun Ho Do, Vol. 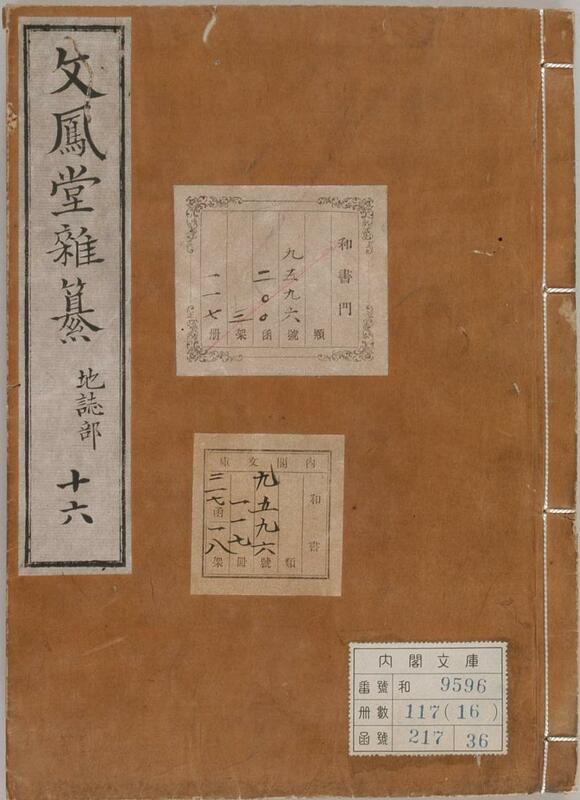 16" (文鳳堂雑纂 - 十六), which seems to have been a volume compiled sometime before 1886 by Kensaku Kanamori (金森謙建策). 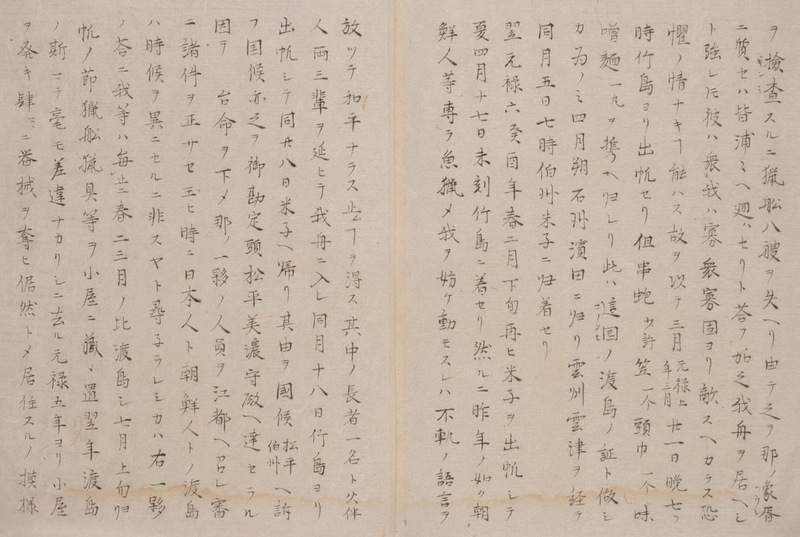 One reason I am posting this text is that I think it was mentioned in an 1876 letter entitled "Concerning Matsushima 2," by Watanabe Kouki (渡辺洪基), who was Director of the Bureau of Documents in Japan's Ministry of Foreign Affairs at the time. 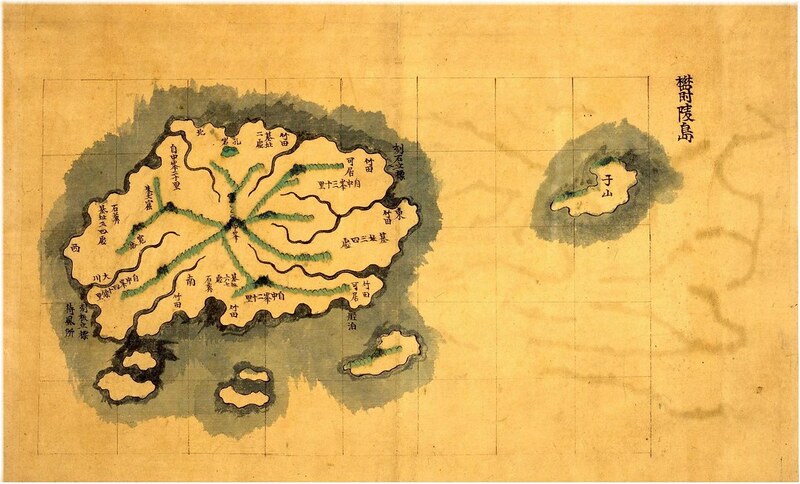 Mr. Watanabe was trying to determine if the Japanese name Matsushima (松島) was being used to refer to the Korean island of Ulleungdo (鬱陵島) or to some other island. Another reason I am posting it is that it seems like a very interesting text. Traditionally, the name "Matsushima" or "Oki's Matsushima" was used by the Japanese to refer to Liancourt Rocks, but Mr. Watanabe suspected that it was also being used to refer to Ulleungdo. 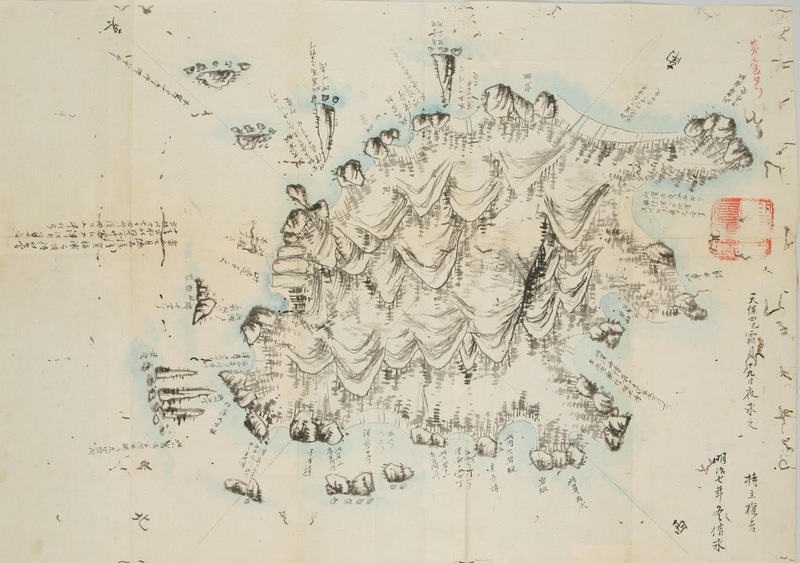 In the text, Ulleungdo is referred to as "Takeshima" (竹島) and Liancourt Rocks as "Oki Domain's Matsushima" (隠岐国の松島). 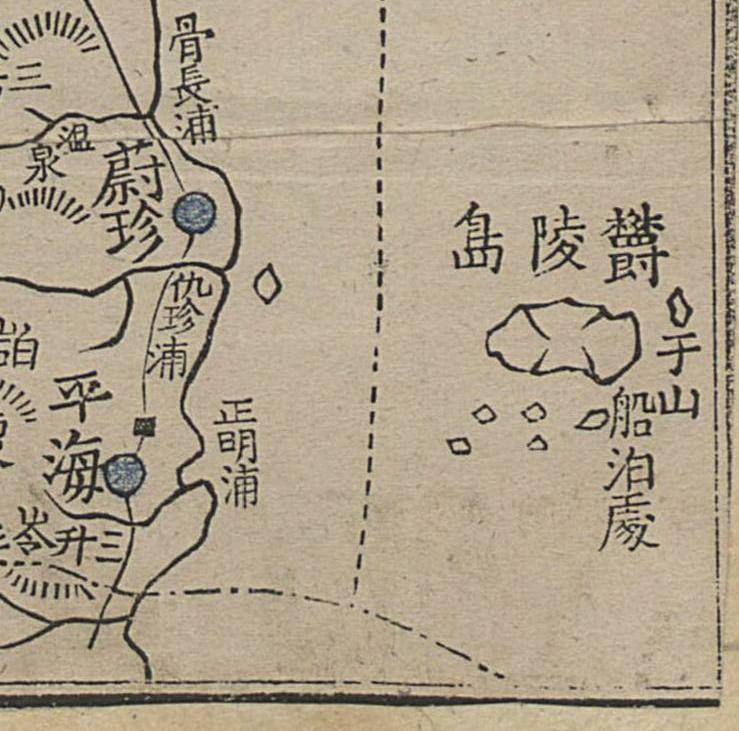 Also, in the text by Kensaku (金森謙), the circumference of Takeshima was written as 15 ri. 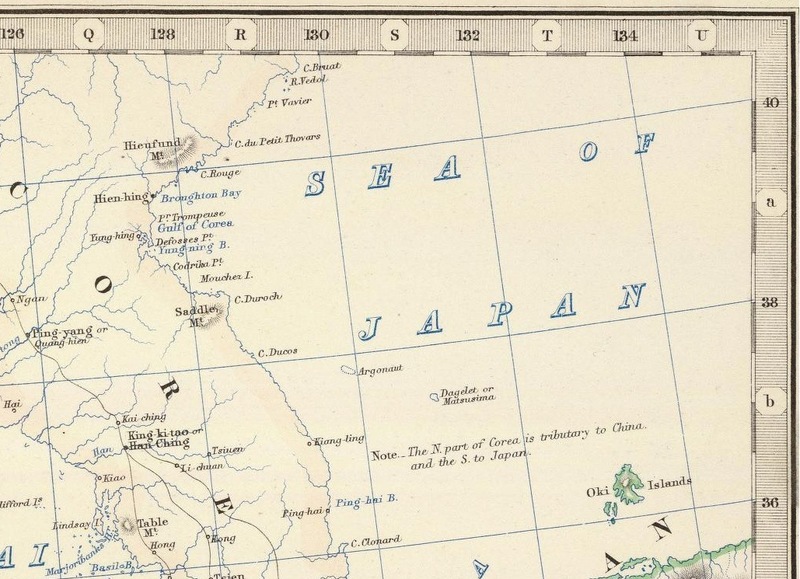 In the text “ A Record of the Land of Japan” (日本風土記), “TA (他) KE (計) JI (甚) MA (麽) refers to Takeshima (竹島). 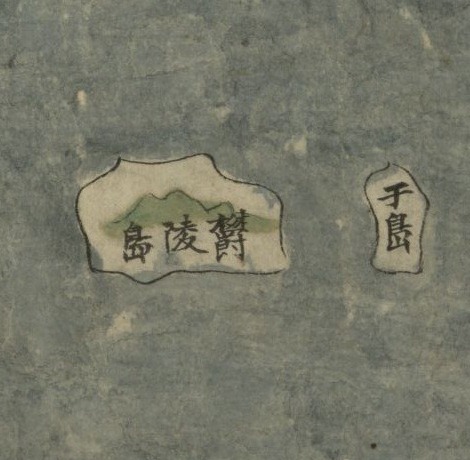 The family of Kitazono (北園子家), a retired retainer of this Domain, has a text of his entitled “Takeshima Map Explanation” (竹島圖說), in which this family’s ancestor, Mr. Tsuuan, (通葊氏) recorded old stories during the Hohreki Era (1751 – 1764) that were passed down among the people of Inshu (因州). So little is known about it/them that this book can, indeed, be called a treasure. These stories are passed down, but I have added to them. I hope this helps those interested in learning about the geography of Takeshima. 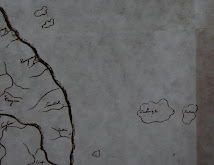 As for the map of the island, I have made a copy and attached it. Someone told me that an essay by Itoh Tohgai (伊東涯) said that the Island of Jikuro (軸羅島) in the Book of Sui(隋書) must be this Takeshima. According to the essay, the circumference (of the island) was 40 ri. I believe his view is probably correct. There is an island called Takeshima about forty ri to the north of the west island of Oki Province’s Matsushima (隠岐國松島ノ西島). (West Island is part of Matsushima and is called “Next Island” by the locals.) 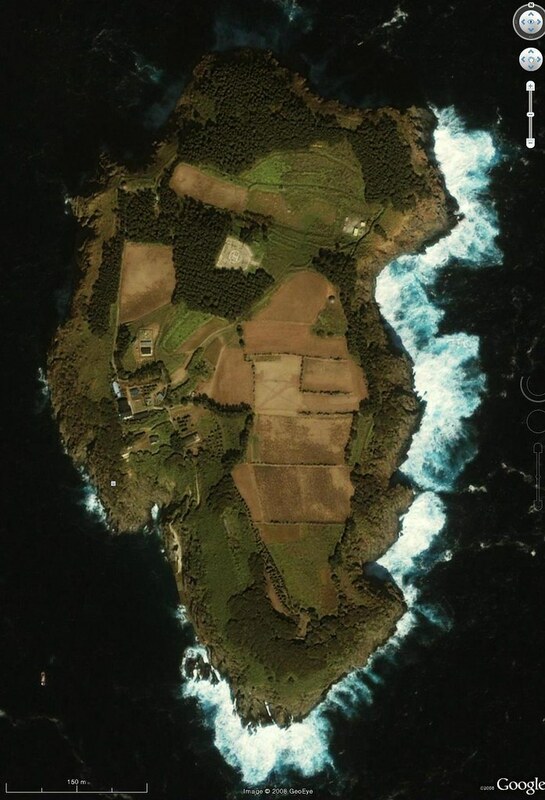 The island borders on Japan and is next to Korea. According to the oarsman (from Iwami), the length from east to west is longer than the length from north to south. Also, there is so much bamboo and so many trees that there are many places that are difficult to enter very far. Also, a little to the west of Port Hamada (濱田浦) is Port Take (竹浦), which is a convenient place to moor boats. However, when the southern wind is servere, it is hard to keep ships tied, so most people house their boats on shore. To the west of this port is a large river that flows into the sea. To the west of the river is a small stream that flows into the river. To the west of that is an island, the name of which I still do not know. To the west of the island is a small stream which seems to be a source of the river to the east instead of a waterfall in the mountains. 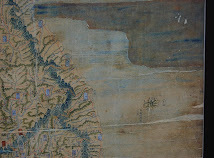 To the west of the small stream is Port Northland (北国浦), and a little north of there is Port Willow (柳浦). A little north of Port Willow (柳浦) is another stream, which is fed by a small stream to the east, increasing its size. The northern bank of this stream connects to a field of reeds. Far to the east of there is an area called Port Osaka (大坂浦). Also, in the center of the island, in the mountains a little to the east of the waterfall, there is a spring with clear water that tastes sweet. It is said that it produces about two 升 per day. I suspect it is a similar to so-called "sugar-sweetened water" (甘露水). "It is about 140 ri by ship from Yonago in Houki Province (伯州米子) to Takeshima. You can sail from Yonago to Izumo (出雲) and then on past Oki’s Matsushima (隠岐丿松島) to reach Takeshima. However, it is said that it is about 60 ri by ship from Oki’s Fukushima (福島), also called Fukuura (福浦), to Matsushima, and then about 40 ri from Matsushima to Takeshima. Moreover, it is about 40 ri from Takeshima on to Korea." 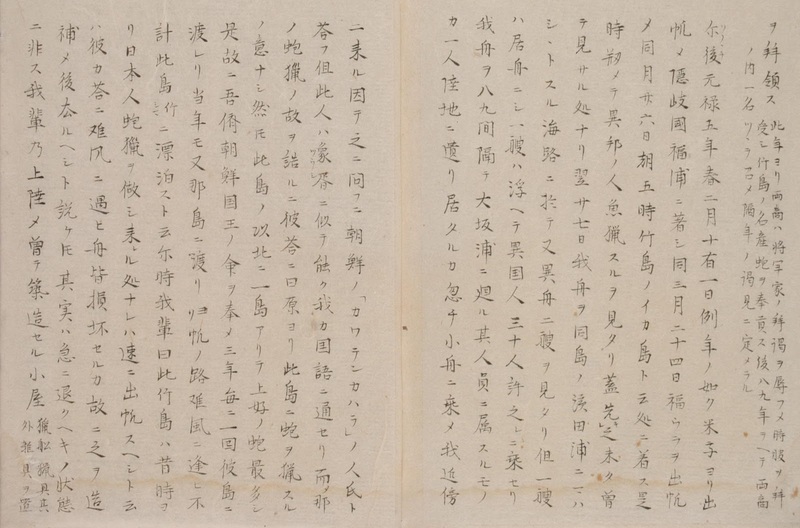 The above account was the response from Yonago residents Kyuemon Oya (大谷九右衛) and Ichibee Murakawa (村川市兵衛) to a 1724 inquiry from the Shogunate." People call this island Takeshima, which is 70 ri from Oki Province. It's circumference is about 16 ri. It has many streams. Japanese know that Takeshima is located in the sea north of Oki Province. A fisherman from Houki Province (伯耆州) first started fishing there. 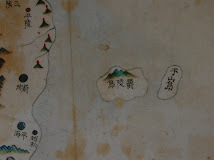 This island is very near Korea, but previously Koreans did not know of the island. About 3 ri north of this island is another island where there are a great many superior quality abalone. Therefore, it is said that Koreans are sent to the island once every 3 to 5 years to harvest the abalone. At one time Koreans did not know of Takeshima, but in the spring of 1692, they drifted to the island and learned of it for the first time. 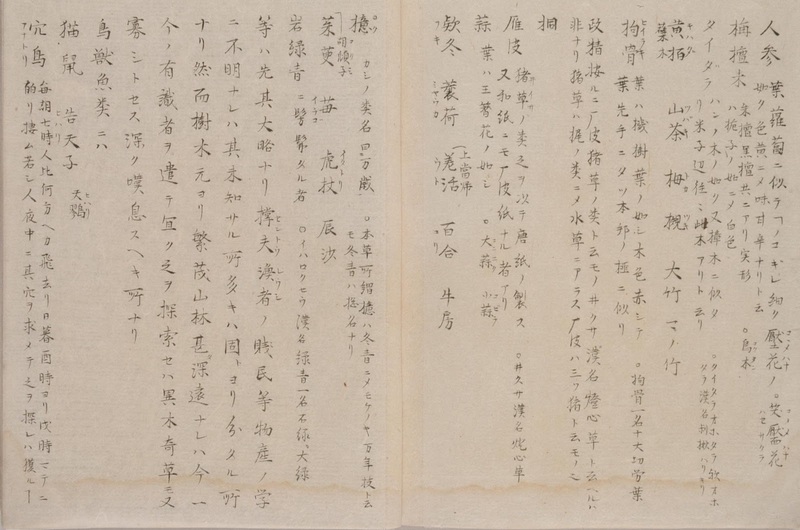 This story is accurate since it was given as testimony by Houki Province fishermen and others at hearing in April 1693. .... 1. We set sail from Yonago (米子) on February 11 in the 5th year of Genroku (1692) and arrived at Port Fuku (隠岐國 福浦) in Oki Province on the last day of the month. We set sail from Port Fuku on March 24 and landed at Takeshima’s Ika Island (竹島ノイカ島) at about 8 o’clock in the morning on the 26th. We noticed that someone had been fishing there. We had never seen this before. On the morning of the 27th, on our way to the island’s Port Hamada (濱田浦), we saw two foreign ships. One was anchored and the other was floating. We saw about thirty foreigners on the floating vessel, which was about 8 to 9 ken (間) from us as we passed and turned toward Port Osaka (大坂浦). One man was on shore. He boarded a small boat and came to the side of our ship. When we asked, he answered he came from the Korean village of “Kawaten” (カワテレカワラ). He spoke our language well as if he was an interpreter. Then when we demanded to know why they were harvesting the abalone, he said, “We did not originally plan to harvest abalone on this island. There is an island to the north of here where there is lots of good quality abalone. We travel to that island once every three years by the order of the Korean king. This year we were again headed for that island, but met an ill wind that caused us to drift here." Then we said, "This is Takeshima, and Japanese have been coming here to harvest abalone since long ago, so you must quickly leave." He said the storm they met had completely destroyed their ship and that they would leave as soon as they repaired it, but they did not seem to be in a hurry to leave. We found that eight boats were missing. We asked the interpreter about this. He said that they had been sent to the other inlets. Furthermore, we very much wanted to go ashore, but there were so many in their group and so few in ours that we did not dare to try it. Therefore, we departed Takeshima at 7 o'clock in the evening of March 21. However, we gathered some shewered abalone, a Korean hat, a fermented soybean cake, and some miso noodles as evidence we had traveled to the island. On April 1st, we arrived at Hamada (濱田 in Iwami (石州), stopped by Kumotsu (雲津) in Izumo (雲州), and returned to Yonago (米子) in Hoki Province (伯州) at 7 o'clock on the 5th day of the same month. 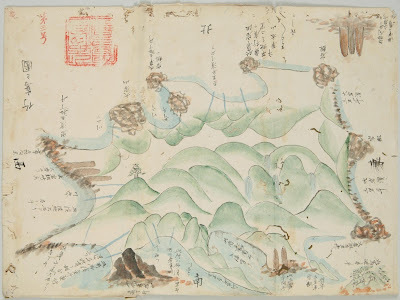 In the last part of February in the 6th year of Genroku (1693), we again set sail from Yonago and arrived at Takeshima without incident on April 17. However, just like the year before, a group of Koreans had arrived and were fishing at will, hindering us, occasionally using rude language, and being disruptive. We had no choice but to take their leader and two or three of his companions on board our ship. 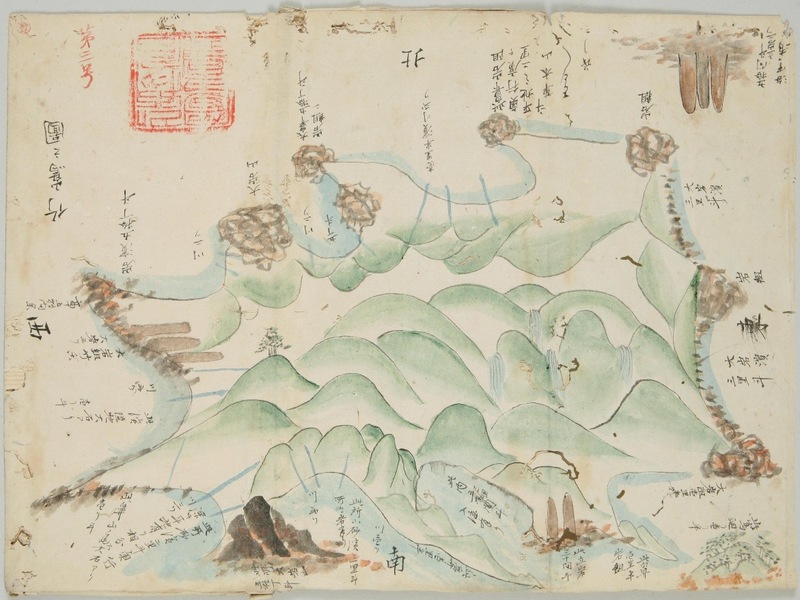 We set sail from Takeshima on the 18th of April and returned on the 28th of the same month to Yonago, where we explained the situation to lord of Hoki Province. Years before, while Matsudaira Shintaro (松平新太郎) reigned Inshu and Hakushu (因伯両州), Ichibee Murakawa (村川市兵衛) and Oya Jinkichi (大谷甚吉), merchants from Yonago in Hakushu, went to Takeshima (Ulleungdo) to fish and continue to do so today. We have heard that the Shogun (Tokugawa Tsunayoshi) now prohibits voyages to Takeshima. His intention must be kept in mind. We humbly convey this to you. 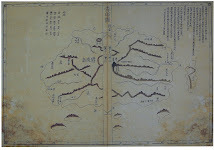 The following map is one of three maps of "Takeshima" (Ulleungdo) obtained by Toda Takayoshi (戶田敬義) in 1876 or earlier. 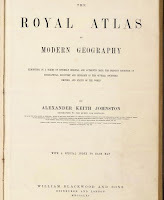 Another of his maps can be seen HERE. I am calling them Map A and Map B. This Map A looks a little more accurate than Map B. I do not know what happened to his third map. I posting the map to give people an opportunity to look at it and to comment on it. 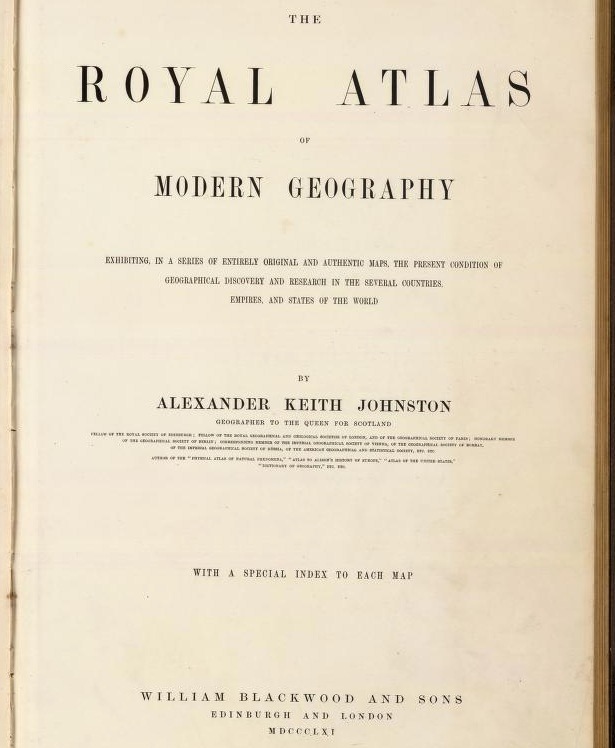 I will modify the post later after reading the comments and studying the map myself, including trying to determine the circumference of the island. It looks like an interesting map. You can go to the source of the map at Mr. Tanaka's Web site HERE to find a much larger version. 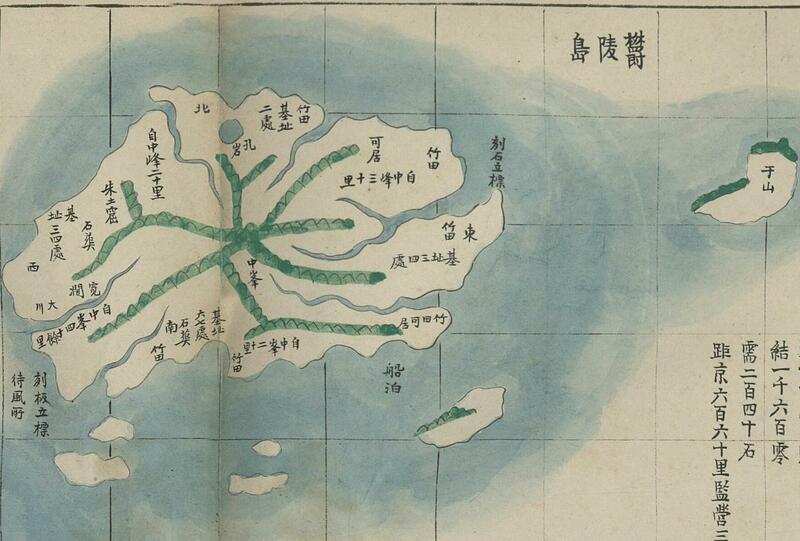 I wonder what happened to Mr. Toda Takayoshi's third map of Ulleungdo. 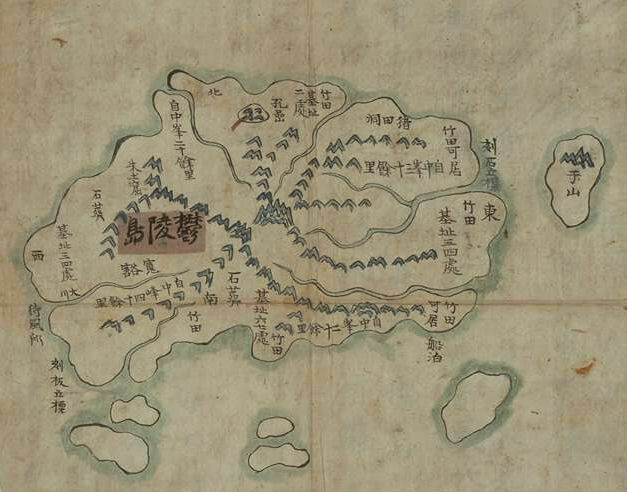 The following map, entitled "Map of Takeshima" (竹嶌之圖), is one of three maps of "Takeshima" (Ulleungdo) obtained by Toda Takayoshi (戶田敬義) in 1876 or earlier. I only know of two of them, which I will call Map A and Map B. This is Map B, and my post on Map A can be found HERE. 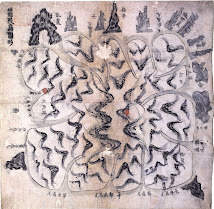 You can go to the source of Map B at Mr. Tanaka's Web site HERE to find a much larger version of the map. 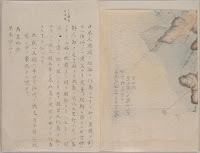 One of his maps was mentioned in an 1876 letter entitled "Concerning Matsushma 2," which was written by Watanabe Kouki (渡辺洪基), the Director of the Bureau of Documents in Japan's Ministry of Foreign Affairs at the time. 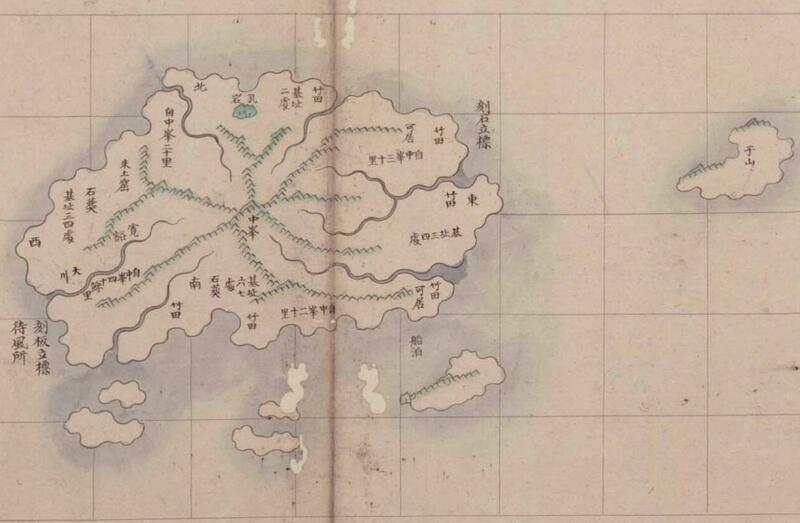 In the letter, Mr. Watanabe said that Toda Takayoshi's survey map showed the circumference of "Takeshima" (Ulleungdo) to be about 23 ri, a measure that was calculated by adding up all the measurements of the ins and outs of the shoreline on the map. 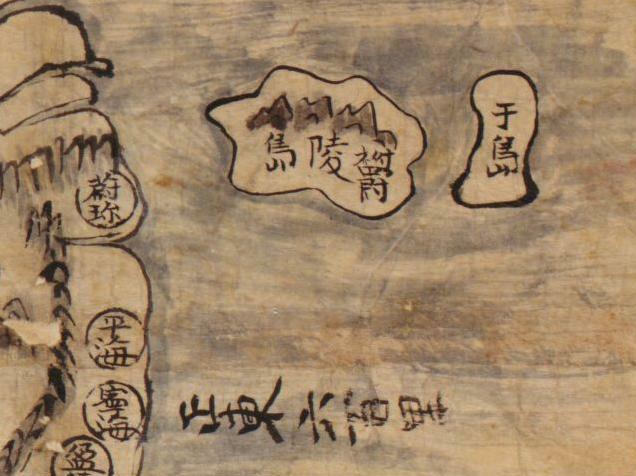 He also said the island in the south corner of the map was probably Uindo (于人島), which was very probably a misspelling of Usando (于山島). Moreover, it you add up all the measurements done by Toda Takayoshi (戶田敬義) on his map they total about 23 ri. (That includes all the ins and outs of the shoreline.) That circumference is more than just a little different than that of Matsushima, or Dagelet. 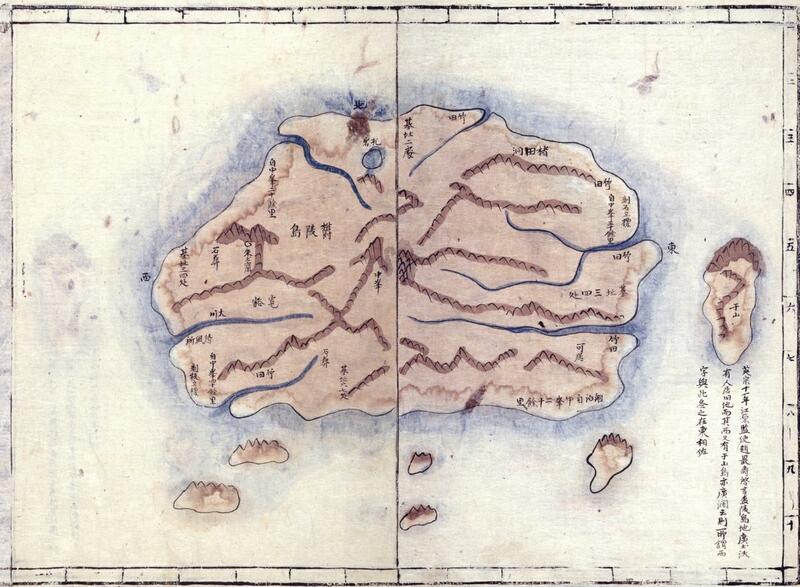 On the south corner of the map is drawn an island that has a circumference of about 1.5 ri. 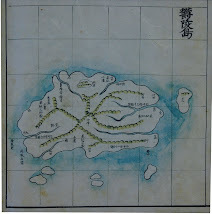 The island is probably Uindo (于人島). 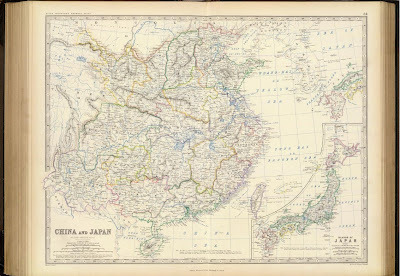 1861 Royal Atas - "China and Japan"
The following map, entitled "China and Japan," is from the 1861 (MDCCCLXI) edition of "The Royal Atlas of Modern Geography," by Alexander Keith Johnston, the Geographer to the Queen of Scotland. The map shows the Korean island of Ulleungdo in the Sea of Japan labeled as "Dagelet or Matsusima." 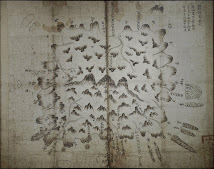 It also shows to the northwest of Ulleungdo the non-existent island of Argonaut, which was the result of a mismapping of Ulleungdo by the British ship Argonaut in 1789. 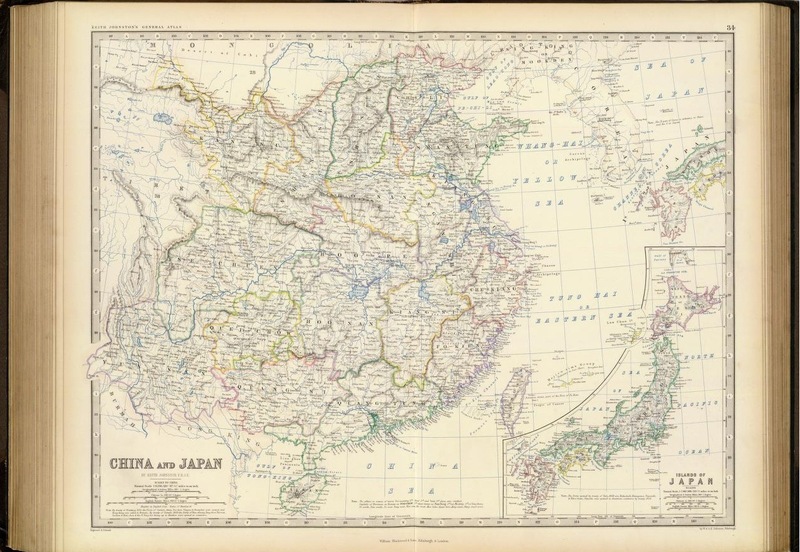 The reason I am posting the map is that it was mentioned in an 1876 letter written by Watanabe Kouki (渡辺洪基), who was Director of the Bureau of Documents in Japan's Ministry of Foreign Affairs at the time. 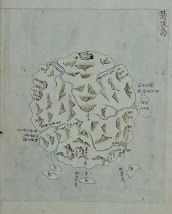 Mr. Watanabe was researching the location of Dagelet Island, which was the Western name for Korea's Ulleungdo Island, and he used this map as an example of Western maps that showed Dagelet Island at the coordinates 37 degrees 25 minutes N. latitude and 130 degrees 56 minutes E. longitude. 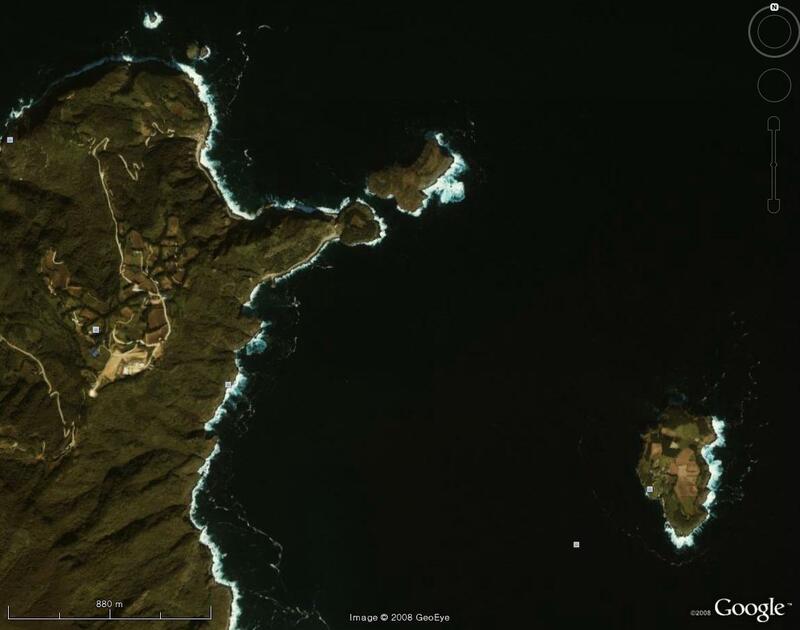 Mr. Watanabe wanted to confirm the location of Dagelet Island because he suspected the Japanese name "Matsushima" (松島) was being used together with "Dagelet" to refer to Korea's Ulleungdo Island. Traditionally, the name "Matsushima," or "Oki's Matsushima," was used to refer to Liancourt Rocks, which Mr. Watanabe believed to be Japanese territory. 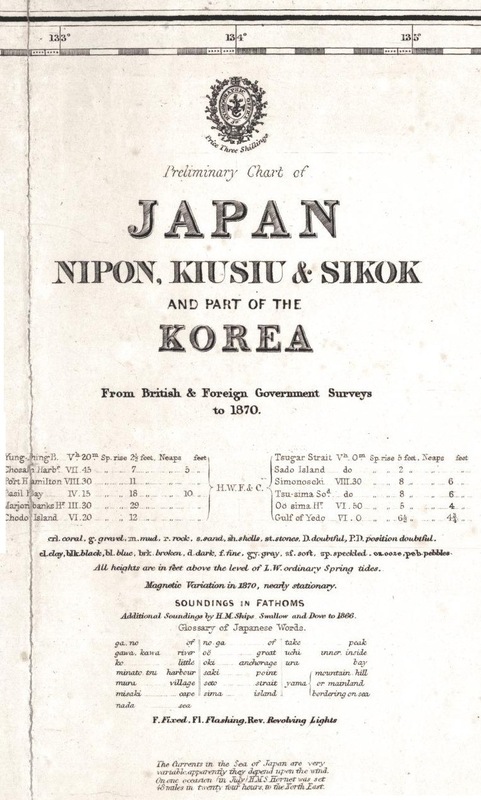 The following nautical chart entitled "Preliminary Chart of Japan Nipon, Kiusiu & Sikok and Part of the Korea" was issued by the British Navy's Hydrographic Office in 1873 and was made from British and foreign government surveys done up to 1870. 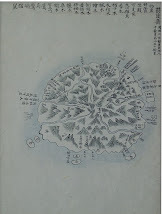 The chart shows Korea's island of Ulleungdo labeled as "Matu sima" with "Dagelet I." in parenthesis. It also shows Liancourt Rocks labeled as "Liancourt Rks.," "Hornet Is.," and "Menelai and Olivutsa." 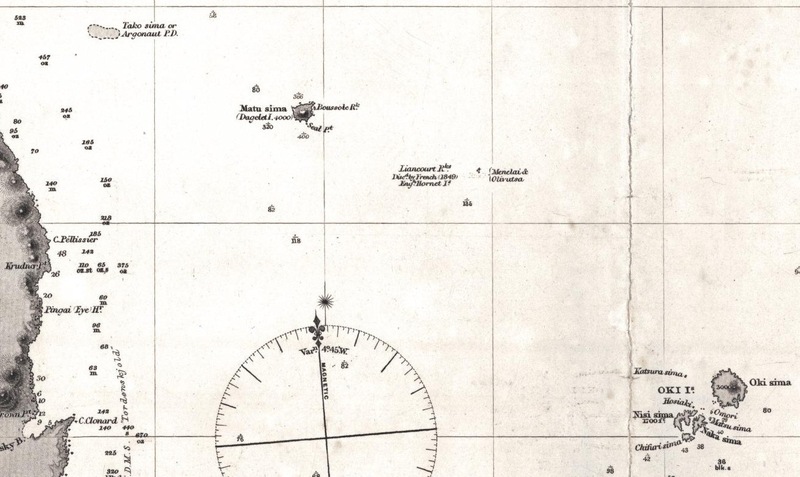 The chart also shows the non-existent island of Argonaut drawn with a dotted line and labeled as "Take sima or Argonaut P.D." The "PD" next to Argonaut means "Position Doubtful." 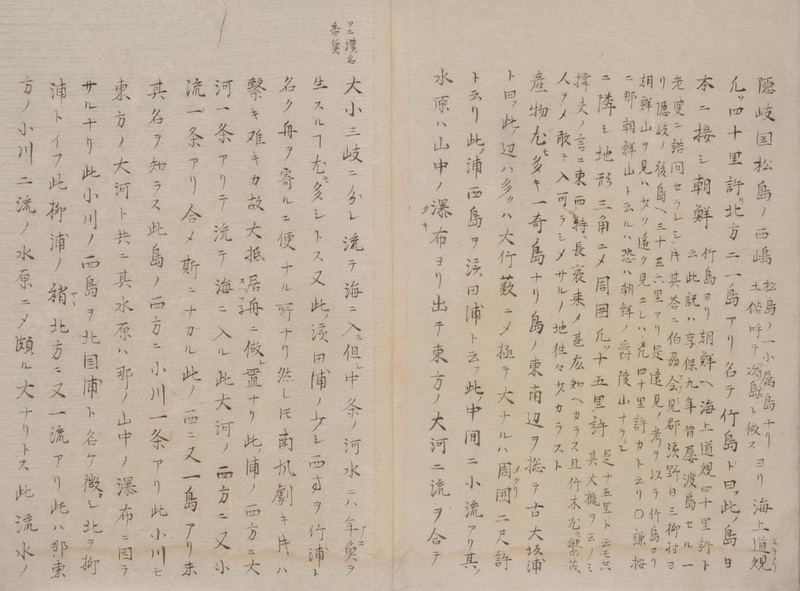 The reason I am posting the chart is that it was mentioned in an 1876 letter written by Watanabe Kouki (渡辺洪基), who was Director of the Bureau of Documents in Japan's Ministry of Foreign Affairs at the time. 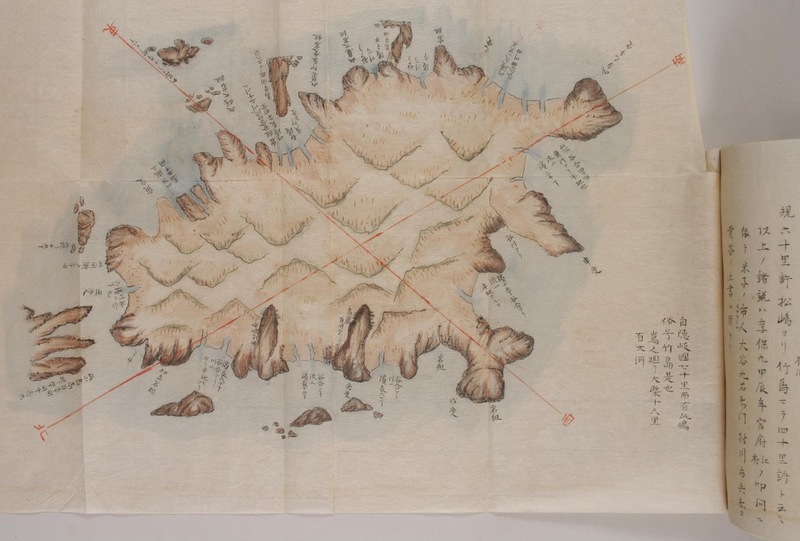 Mr. Watanabe was researching the location of Dagelet Island, which was the Western name for Korea's Ulleungdo Island, and he used this map as an example of Western maps that showed Dagelet Island at the coordinates 37 degrees 25 minutes N. latitude and 130 degrees 56 minutes E. longitude. 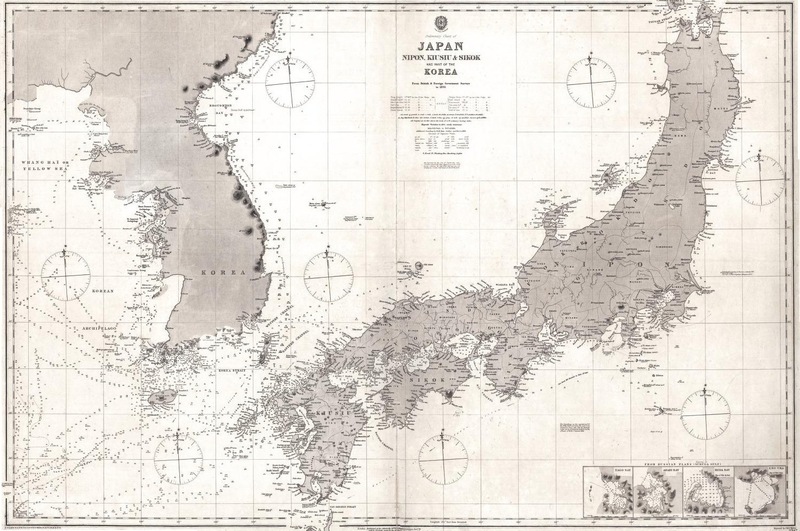 If we look at Western texts, the British “Imperial Gazetteer” says that Dagelet Island (pronounced as “Dazera”), or Matsushima, is an island in the Sea of Japan that is situated between the Japanese Archipelago and the Korean Peninsula. Its northwest corner is at 137 degrees (should read “37 degrees”) 25 minutes north latitude and 130 degrees 56 minutes east longitude (Greenwich means). It was named by La Pérouse in 1787. It has a coastline of sheer cliffs and is approximately 9 ri around. It is covered by dense forest up to its highest point. 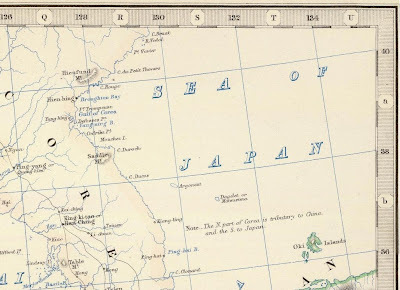 Also, “Lippincott’s Pronouncing Gazetteer of the World” says that Dagelet is a small island in the Sea of Japan that is exactly between Japan and Korea. It has a circumference of 8 ri and is positioned at 37 degrees 25 minutes north latitude and 130 degrees 56 minutes east longitude. If you look this up on a map, the location of the island labeled as Dagelet, or Matsushima, on the British Navy’s navigational chart seems to be at the same position as that in both books. Traditionally, the name "Matsushima," or "Oki's Matsushima," was used by the Japanese to refer to Liancourt Rocks, which Mr. Watanabe believed were Japanese territory, and the name "Takeshima" was traditionally used by the Japanese to refer to Ulleungdo. 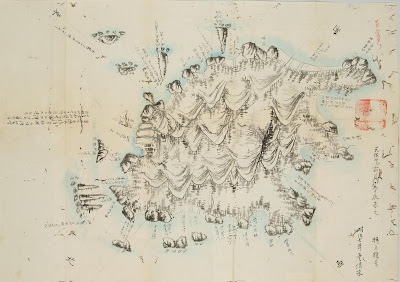 However, Mr. Watanabe suspected that the name "Matsushima" was now also being used to refer to Ulleungdo, a suspicion the following British navigational chart seems to bear out. Since the name "Takeshima" had always appeared to the west of "Matsushima" on old Japanese maps, people must have assumed the non-existent island of Argonaut was Takeshima, Korea's Ulleungdo. 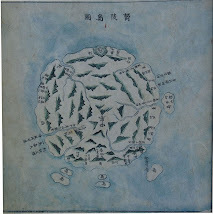 Therefore, since the real Ulleungdo was now labeled Matsushima, many Japanese and others believed it to be Japanese territory.